Finding a good wedding venue in a wonder city like Mumbai is no less than navigating a maze. How do you choose the perfect wedding venue? Now, that’s a tricky question. There are certain basic criteria’s that define and make the search a little more feasible for couples. These are the size, the style, the budget, the décor, lighting, exclusivity, good view and amenities. Not to undermine the importance of location, location and location. See, we said it thrice! Taking into consideration all of the above basic to major requirements and more while you go through our ultimate guide to selecting a popular AC banquet halls in Dadar, this week. Why Dadar? There could be other reasons besides the fact that you or a lot of your guests live in the vicinity. Is Dadar a good option if you don’t? Most Mumbaikars will vouch for the fact that Dadar is the heart of Mumbai. Other than being a transit hub for local and national connectivity, Dadar is also one of the most popular shopping destinations for clothes and jewellery. The bride missing something earth shattering in her wedding day kit on the day of the wedding. Just have your best girl run down to the market and pick it up. It is that simple. OK, jokes apart, Dadar is home to many budget-friendly AC banquet halls and other wedding venues, which makes it a super desirable location for your wedding. Need we say more? Have a look at which are the most sought after banquet halls in Dadar below. Big or small, social or intimate celebration you intend to have, Verve Banquet offers the most exquisite AC banquet halls in Dadar West that will make your event more enjoyable and remarkable. From 4 banquet halls to at your disposal make your once in a lifetime moment count by selecting Verve as your wedding venue. The have an expert in-house staff who ensure every little details of your event is well looked after. Their décor team, catering and music staff sits with you to plan each and every feature just so you have a memorable event without any glitches. If a sweet and simple is how you like it, Dadar Matunga Cultural Centre offers a serene banquet hall in Dadar West. Easy accessibility to the venue makes it an all the more favourable choice. Backed by an experienced panel of caterers and decorators, the venue staff will ensure your traditional Indian wedding has all the components arranged just the way you like it. Should you need any personalization done in the menu or you have a particular wedding décor theme in mind, the team will get that arranged for you and the final results will surely not disappoint. Pure vegetarian meals are served at the venue. Located at a walking distance from Dadar Station, Kashinath Dhuru Hall is one of the most sought after AC banquet halls in Dadar West by couples having a wedding on a budget. A budget-friendly wedding venue with easy accessibility is definitely a sone pe suhaaga. Though ideal for wedding receptions, you can book this venue for your pre-wedding festivities too. Their in-house management team takes care of your food and beverage requirement. You can sit with the team to discuss your specifications. The venue allows you to make your own music arrangements. There is no better wedding venue in Mumbai than Kohinoor Catering College for classy and intimate events. Their beautifully designed AC banquet halls in Dadar West are guaranteed to take your celebrations one notch higher. Royal interiors with vintage chandeliers being their highlight, minimal flower decorations are all you require to deck this venue. 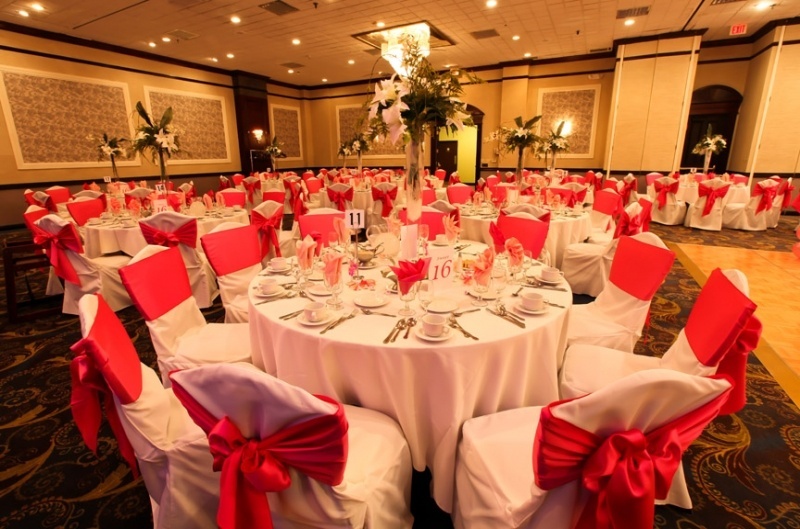 Their in-house decorators do a great job at replicating any wedding décor theme you have in mind. Going by the name, it being a catering college premise you can be rest assured the spread of cuisines served at the party halls will surely not disappoint. Their hospitable staff will ensure your event is nothing less than perfect, hence don’t think twice before booking this venue. Grab it at your first opportunity. One of the most elegant and budget-friendly AC banquet halls in Dadar East, Tulip Apna Bazaar Banquet Hall gives you an exclusive event space to host the most special moment of your life. You can book the venue for intimate pre-wedding events and small gathering wedding receptions. Their internal events management team handles your catering and décor needs. However, you can make your own music arrangements and have an amazing sangeet ceremony. Hotel Shantidoot is one of the most classic banquet halls in Dadar East perfect for couples who like to keep their celebrations small, intimate and elegant. With year of professional experience in organizing events, their staff is up to date with what’s trending in the wedding market. From décor to food their expert staff makes sure what you receive from them is impeccable service. The venue serves only pure vegetarians meals and allows you to make your own music arrangements. Haven’t found your match yet? Check out more such amazing banquet halls in Dadar here. Looking for banquet halls in and around other localities of Mumbai, we’ve got a comprehensive list of that as well. Check it out here.